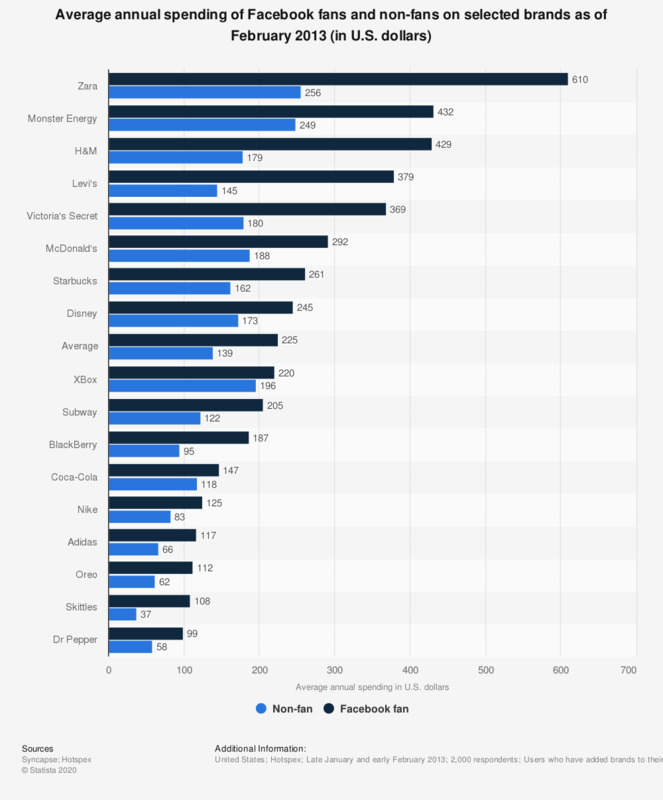 This statistic gives information on the average annual spending of Facebook fans and non-fans on selected brands as of February 2013. It was found that consumers who were H&M fans on Facebook spent approximately 429 U.S. dollars per year the retailer, compared to 179 U.S. dollars of non-Facebook fans. Results are based on corresponding product spending, brand loyalty, propensity to recommend, media value, cost of acquisition and brand affinity to arrive at the figure. The source does not provide information on the respondents' age.